Now With 100% More Diving Dogs and Hillbillies!!! 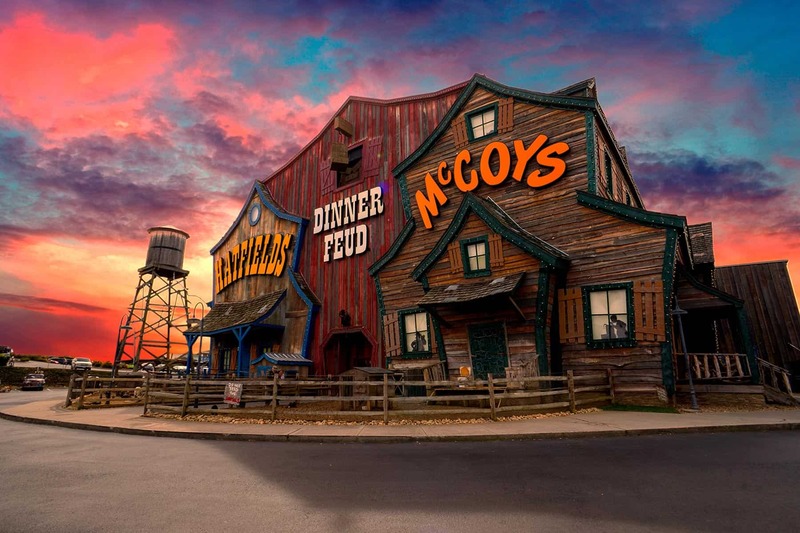 Did y’all hear the big news down here at the Hatfield & McCoy Dinner Feud?! After 3 years and 3 million dollars, we don’ got us a swimmin’ hole! We weren’t jokin’ with youn’s either, when we said it was BIG NEWS, we meant it! Our great big ole’ swimmin’ hole is 22 feet deep and has over 200,00 gallons of salt water. Why that’s big enough fer’ both the families to bathe at once! Now, our new swimmin’ hole ain’t just for cleanin’ yourself up for dinner. We’ve got 12 divin’ hillbillies that do all sorts of knee-slappin’ tricks. If you aren’t colored silly by that, we’ve even got 5 diving dogs, Willy, Jeb, Betty Lou, Riley, and good ole’ Luke. 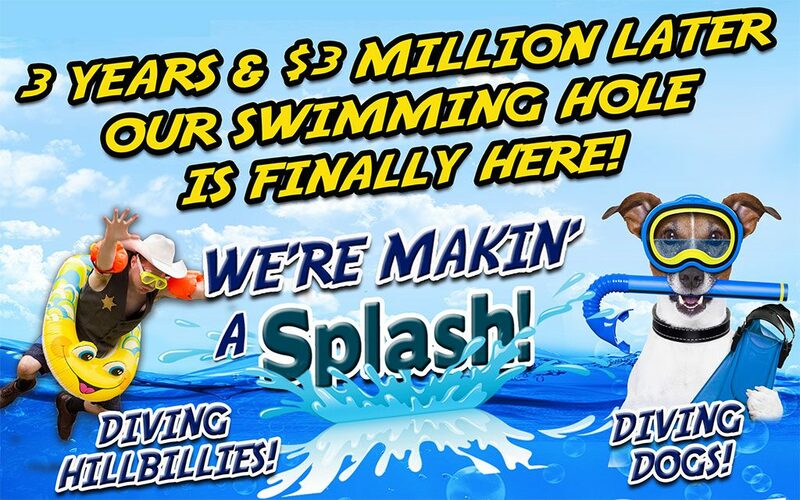 We reckon there will be even more divin’ animals to come join in on the fun soon! 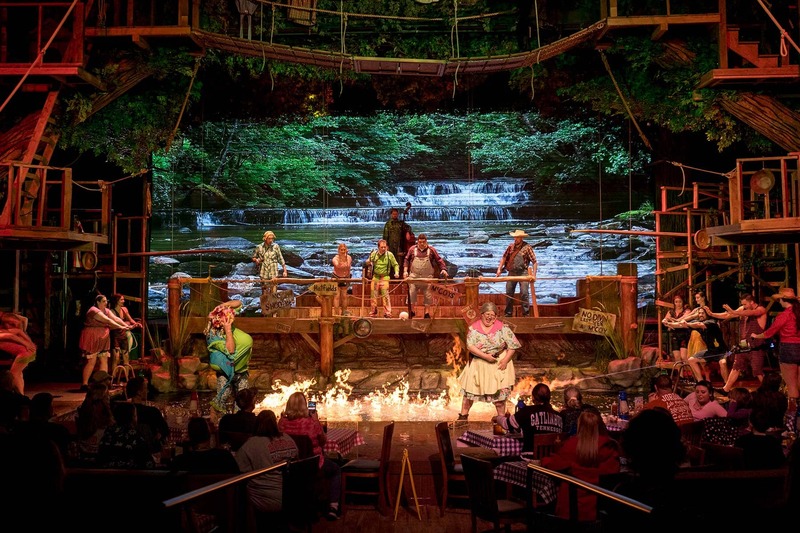 Ya’ll we don’t want to give all the swimmin’ hole secrets away, so youn’s have to come down to Hatfield & McCoy Dinner Feud and see this brand new chaos for yourself! And don’t forget, it’s all-you-can-eat! For reservations call 865-908-7469 or purchase tickets online. We Hatfields and McCoys can be found all over that internet thingy. Here are a few other places to learn more about our Dinner Show.